With Sarah Walker. Including Five Reasons to Love the Waltz; Music in Time: Webern: Symphony; Artists associated with Vienna: Strauss: An Alpine Symphony. Sarah presents '5 Reasons to Love... the Waltz'. Throughout the week she enjoys its elegance and expressivity; its high-spirited flirtatiousness; its capacity to conjure up fairytale romance; the Viennese pride expressed in the waltzes of the Strauss family; and the way it can seem to spin out of control, revealing its darker side. Sarah shares waltzes by composers including Weber, Liszt, Johann Strauss II (arr. Webern), Chopin and Prokofiev. 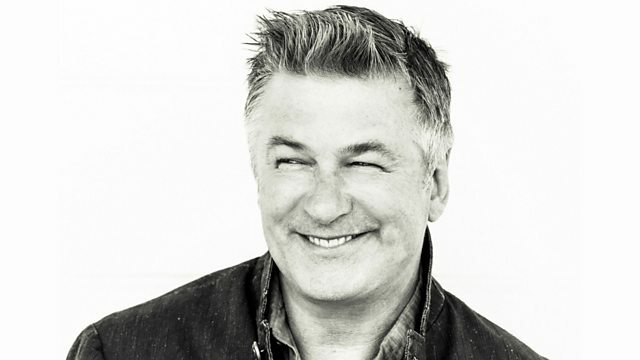 Sarah's guest is the Hollywood actor Alec Baldwin. A star of the small screen as well as the silver screen, Alec is known for both his comic and dramatic roles, and has amassed a list of film and TV credits including 30 Rock, The Hunt for Red October and the latest film in the Mission: Impossible series: Rogue Nation. Alec is a passionate classical music fan, whose damascene moment was hearing Mahler's 9th Symphony conducted by Sir Georg Solti whilst driving his car in Los Angeles. Mahler is still his number one love and he even had a special 'Mahler clause' inserted into his contract when filming It's Complicated. Alec also presents concerts for the New York Philharmonic Orchestra - he's said "It's my favourite job that I've ever had." Alec will be sharing a selection of his favourite classical music every day at 10am, including pieces by Sibelius, Rodrigo and Ravel, as well as works by the British composers Vaughan Williams and Frank Bridge. Sarah places Music in Time. She heads to the Modern period to investigate Webern's highly individual conception of serialism in his Symphony, Op 21 - a work of captivating beauty. In the week of Radio 3's annual broadcast of the long-running New Year's Day Concert from Vienna, Sarah presents four great artists associated with that famously musical city - Concentus Musicus Wien, the Alban Berg Quartet, Friedrich Gulda and the Vienna Philharmonic, in music by Bach, Ravel, Richard Strauss and Beethoven. Music Arranger: Anton Webern. Ensemble: Boston Symphony Chamber Players. Performer: Graham Johnson. Singer: Philip Langridge. Orchestra: New York Philharmonic. Conductor: Lorin Maazel. Orchestra: Vienna Philharmonic. Conductor: André Previn.